Support Sunny 16 Podcast on Ko-fi.com! - Ko-fi ❤️ Where creators get paid by fans, with a 'Buy Me a Coffee' button. 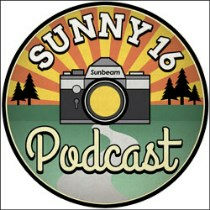 The Sunny 16 Podcast is a weekly show with Ade, Rachel and Graeme talking about all things analog photography related. Most weeks we're joined by fantastic guests, from photographers and educators to inventors and film manufacturers from all over the world. It's British, it's fun, and it's filled with film photography goodness! Secured Payments. Support goes to Sunny 16 Podcast's account.